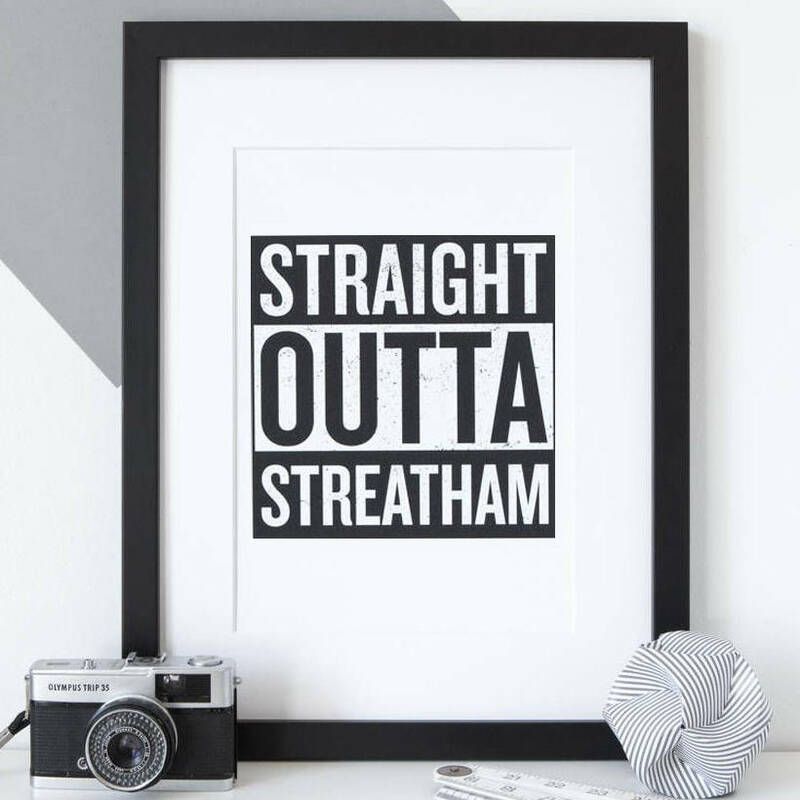 This fabulous 'Straight Outta Compton' hometown print is personalised just for you. The idea behind it is to allow you to represent your own city. 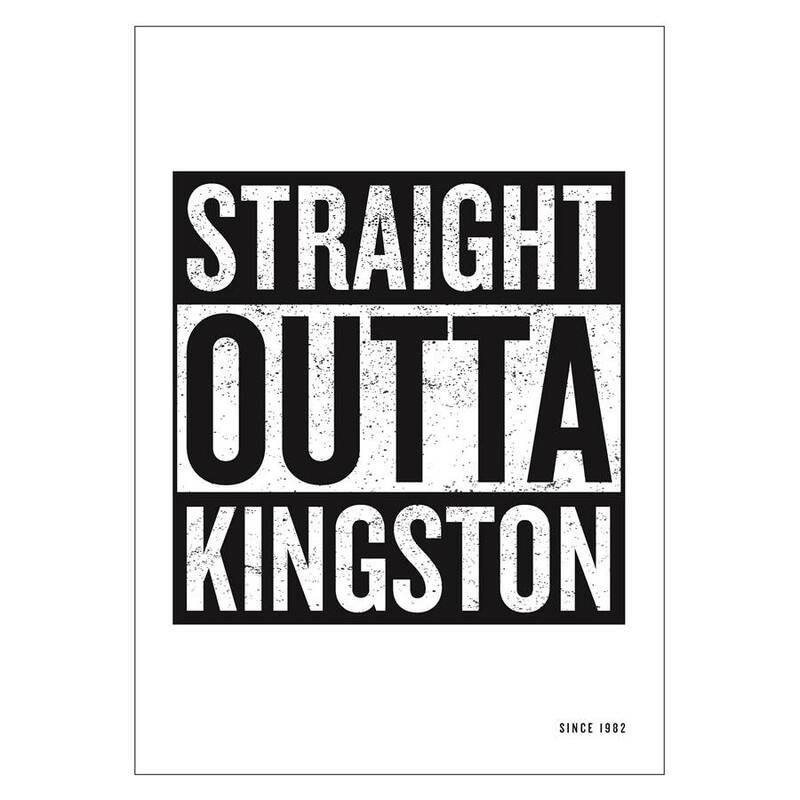 It’s about being proud of where you’re from. Or, if you’re proud of how far you’ve come, it can be about where you live now. 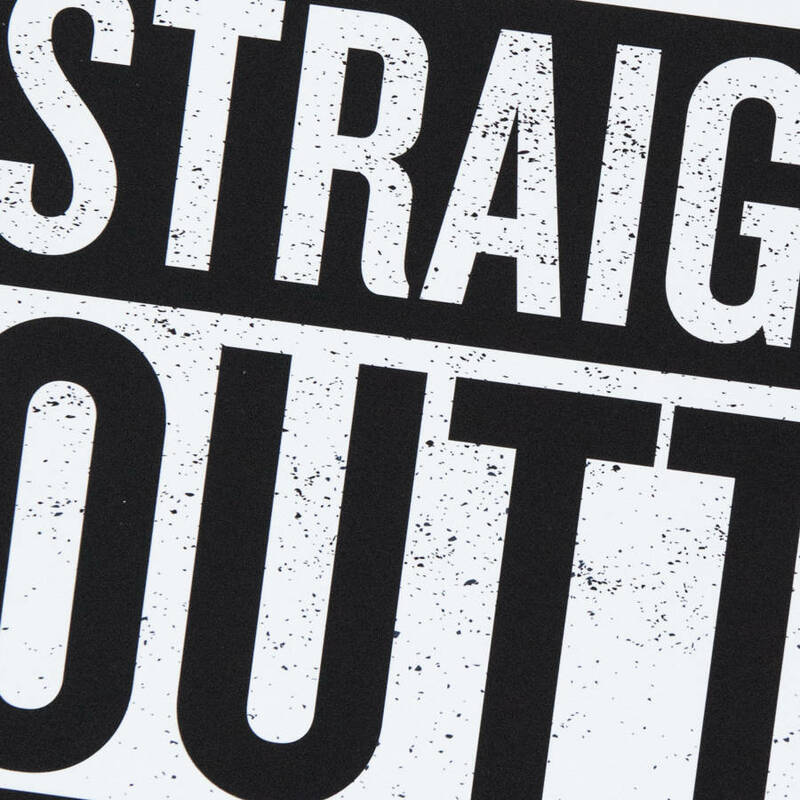 So - where are you straight outta? 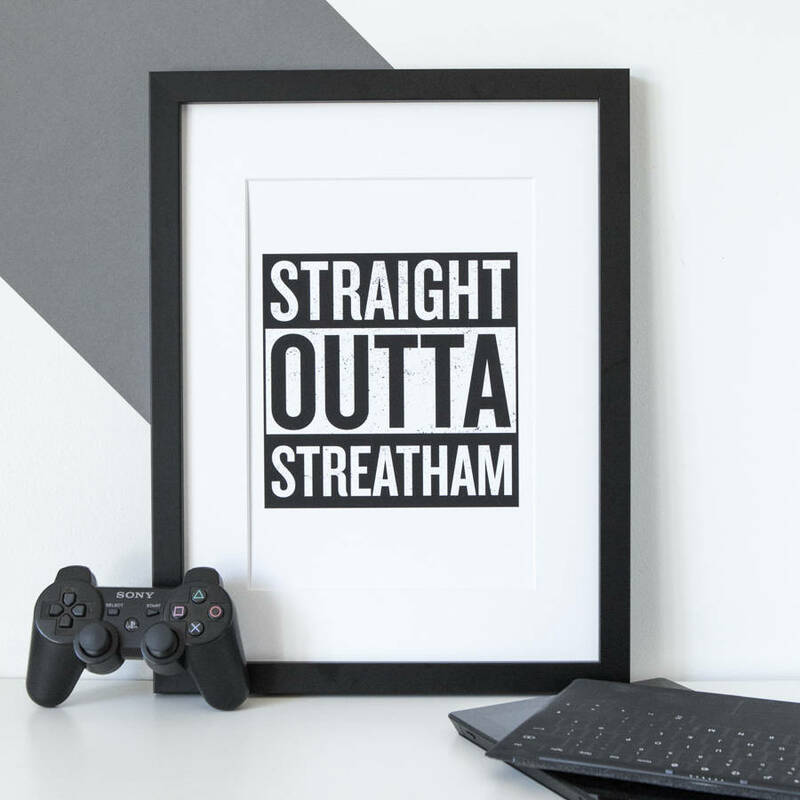 Whether you’re Straight Outta Streatham, Heston, or Brixton, this print can be personalised by entering your location in the personalisation box. 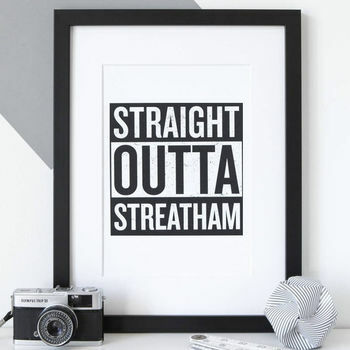 This print can be further personalised by entering the first line of the address from your hometown, the years that you lived there, or simply the year you were born. This line of personalisation will be discreetly printed in the bottom right hand corner of the print (please see images). Please select from the drop down box when ordering. 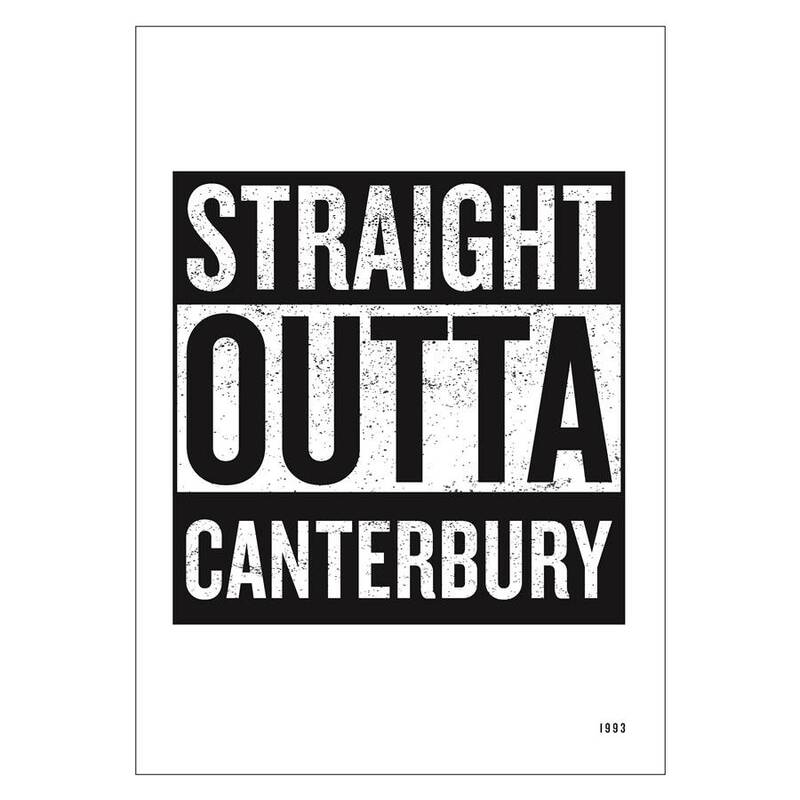 This print will make an ideal Christmas gift for Hip Hop lovers everywhere! All our prints are designed and printed in-house. 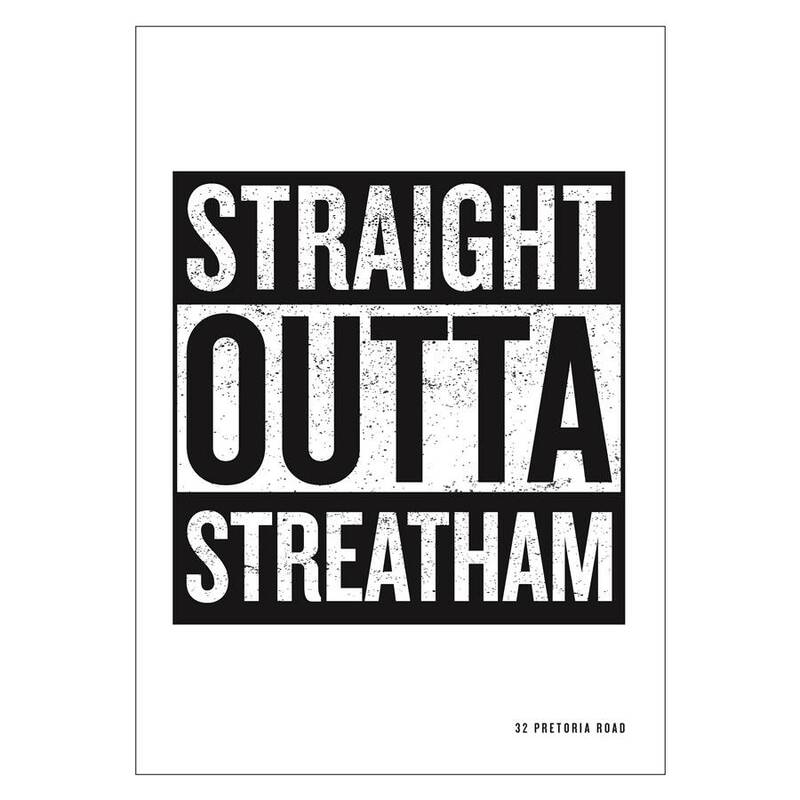 Each print is made to order and printed on either archival matte paper (A4 & A3) or matte poster paper (A2 & A1). 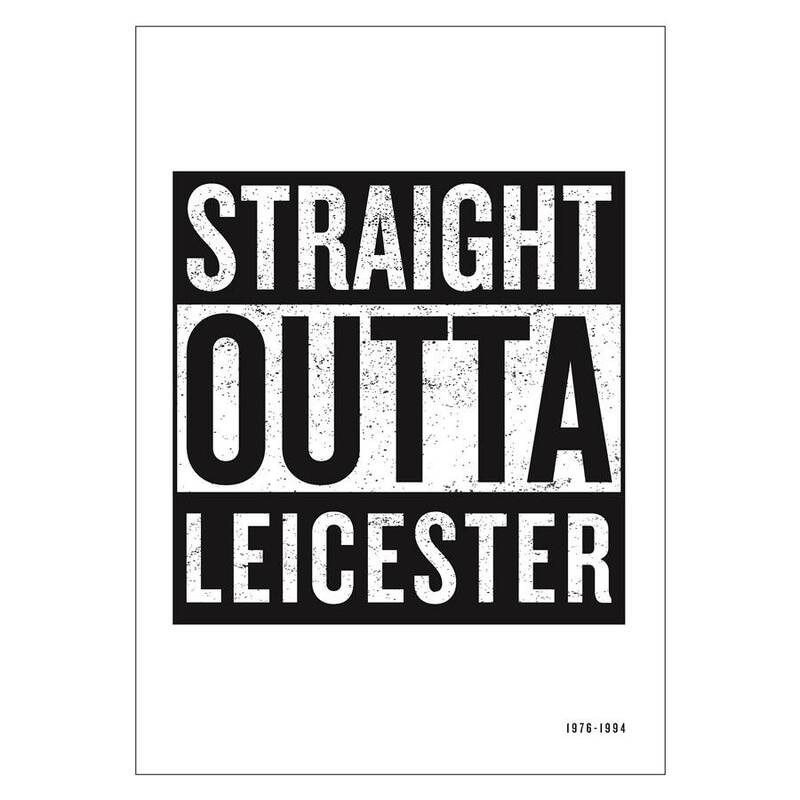 You will be sent an unframed A4 print as a standard. However, all our prints are available in A3, A2 and A1 if you choose that option in the dropdown box. They are available framed or unframed. Unframed A4 and A3 prints are sent flat in a reinforced envelope and posted via Royal Mail. Unframed A2 & A1 prints will be sent rolled in a postal tube. This gives you the flexibility to choose your own frame. 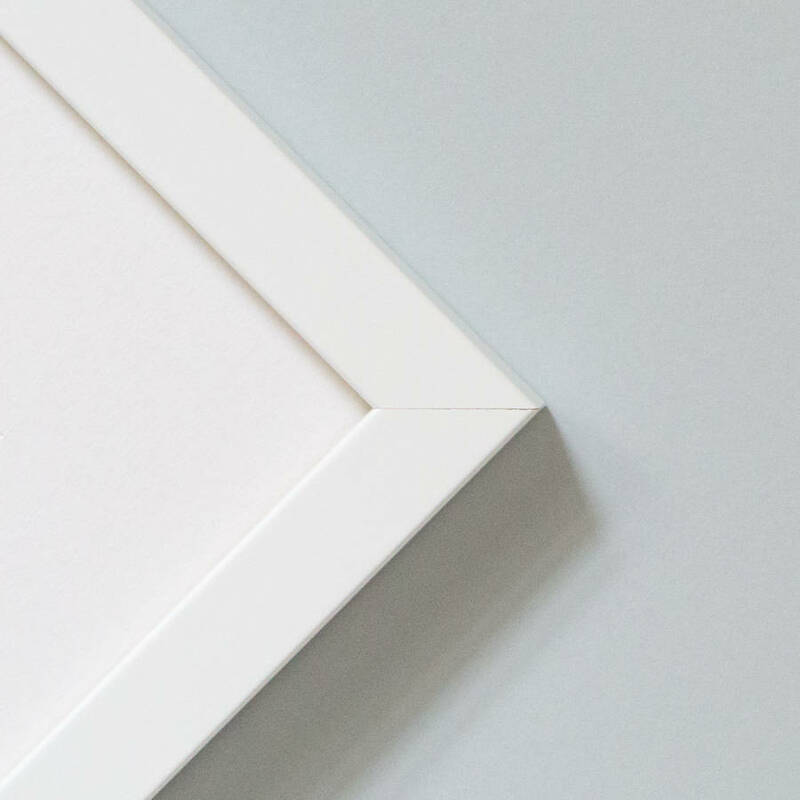 We recommend that you do this as soon as possible as a good picture frame not only complements your print, but it will also protect it. 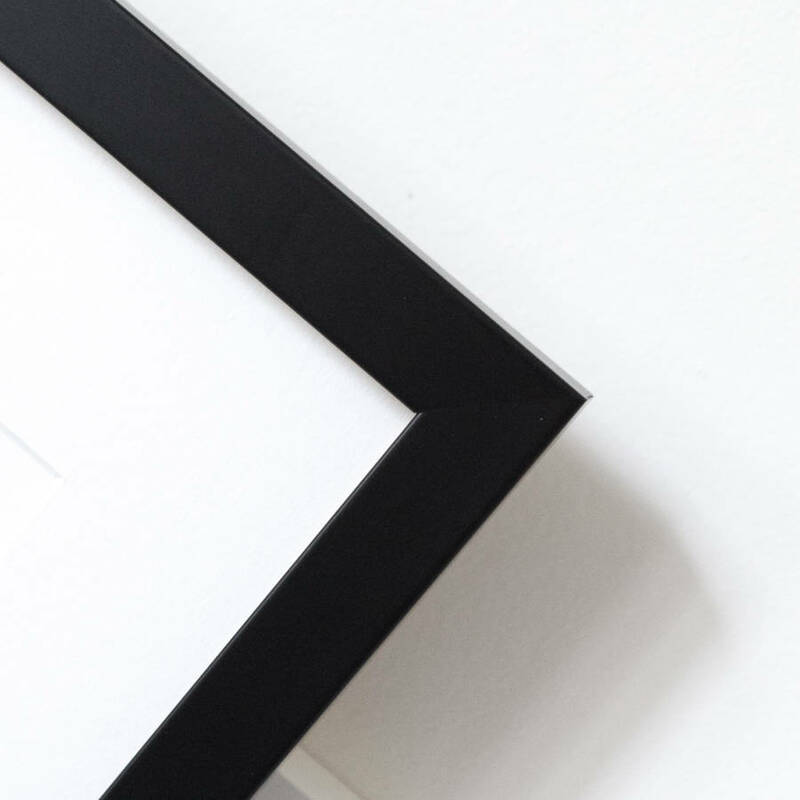 Frames are available in black or white, come with a mount, and are handmade to order by our specialist framers. Frames are made from FSC approved wood with a paint finish. They are glazed with high quality acrylic safety glazing. Each frame comes with a cord across the back so it’s ready to hang. As each frame is handmade to order, this option will add a 7-10 day turnaround time to your order. This means framed prints are not available for express delivery. Please also note we are unable send framed prints to the Highlands and Islands, non-mainland UK and overseas. Archival matte paper & ink.